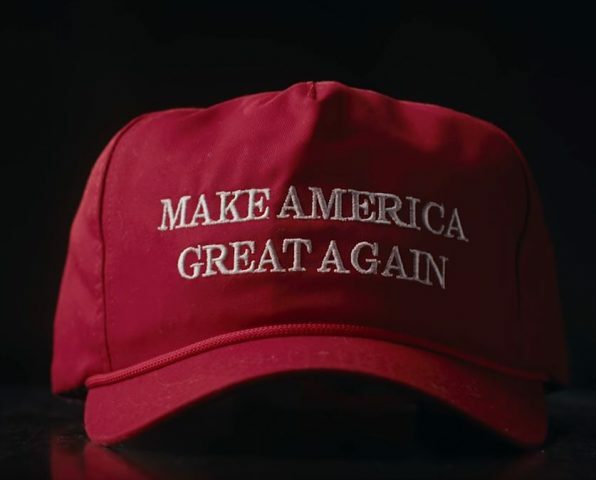 A new campaign for Toronto-based clothing brand Peace Collective, literally unthreads the negative symbolism of the MAGA hat and transforms it into a symbol of acceptance. The four words emblazoned in white across a red baseball cap have become an iconic symbol in politics since they first appeared in late 2016. What began as a campaign slogan is now difficult to separate from increasingly anti-immigrant and anti-minority views and policies. The hat has grown to become a representation of the divisive and combative political climate appearing worldwide. The MAGA hat inspired a new awareness campaign called #UnravelHate, for Toronto-based apparel brand Peace Collective. In an inspiring video, MAGA hats were unthreaded, letter-by-letter, stitch-by-stitch and given a new meaning. 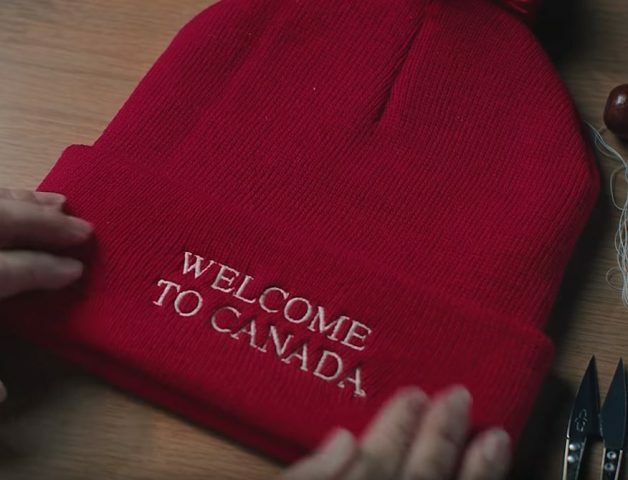 The thread of the MAGA hats helped create a new symbol -– a red toque with white lettering that carries a warm and very Canadian message: “Welcome to Canada”. “We have an opportunity to tell the world that acceptance is stronger than hate, so the idea was to take a symbol of division and completely transform it,” says Roman Hessary, co-founder at Peace Collective. 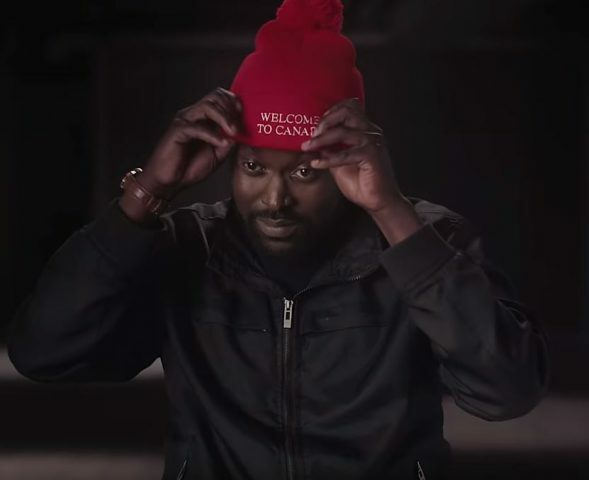 The awareness campaign features a variety of media appearing across Peace Collective’s social channels including; a long-form video featuring five different Canadians telling their unique stories about how they immigrated to the country and why they are proud to call it home. Among the participants are Aorwa, a Syrian refugee who fled the Syrian Civil War; Cori, an LGBTQ American who now resides in Canada; and Victor, an immigrant from Uganda. The compelling accounts are intercut with footage of the unthreaded MAGA hats before revealing the “Welcome to Canada” toque. “This is a campaign that’s grounded in Canadian values – diversity is our strength. Canada is a cultural mosaic and we believe that all people, no matter their identity, are welcome here,” says Roman. 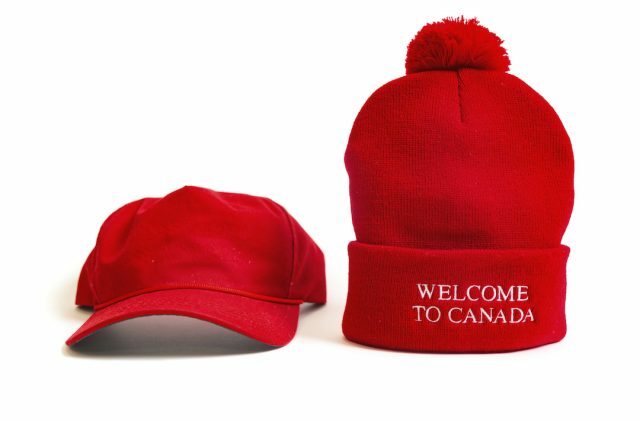 The “Welcome to Canada” toques are available for purchase on Peace Collective’s website and the original toque made with MAGA hat threads is being auctioned online. Profits from the sale of all toques are being donated to WoodGreen Community Services, a United Way partner charity that helps refugees and immigrants settle into their new lives in Canada. Peace Collective is a lifestyle clothing company aimed at making a difference. It was established in 2014 with a mission to capture cultural sentiment and create a movement of creativity and giving back. The brand is rooted in the one-for-one model and the idea of helping out those that are less-fortunate than others.